Seed Conditioning Enkhuizen is the expert in the field of conditioned seed (and pellet) dryers and unconditioned seed (and pellet) dryers. 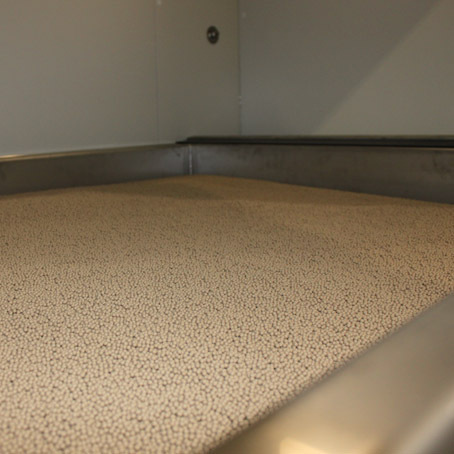 Large batches of sustainable seeds are dried in the most ideal way possible in our generation of drying cabinets. Our equipment meets the highest standards and contains the latest technologies. The controls are simple, accurate and reliable. Furthermore, drying with conditioned air is energy-efficient. During the drying process of conditioned drying, the air humidity and temperature are recorded to allow you to closely monitor the drying process. Every drying process in conditioned drying is regulated using a calculation that is determined by measuring the incoming and outgoing temperatures. Every seed specialist and every type of seed have their own needs. Vegetable seeds or grains Flower seeds or herbs We understand that you want to be in complete control of the drying process. That is why our systems always allow you as the operator to set the temperature and the percentage of the drying cycle exactly and as needed. The applied computer regulator (PLC) and touchscreen control terminal make the entire drying process verifiable and manageable. You want it to be possible to also feed air in to the top of the chamber and draw air in at the bottom of the chamber. In that case, we offer you a dryer with a reversible air system. During the drying cycle, a dryer with knock filter ensures that the cylindrical filters are cleaned using an installed compressed air tank. You want to dry with a seed cart or prefer to work with a rotation unit. We will gladly deliver the right equipment that suits your needs. Please call us for free advice about our drying systems for seeds or pelleted seeds. 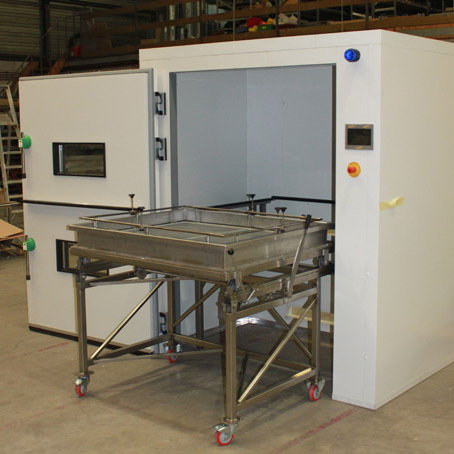 At Seed Conditioning Enkhuizen, we offer various types of dryers. Is the type you are looking for not listed? Please feel free to contact us.